We look at the claims in the ads and tell you the truth. The state Senate candidates are facing off in a third televised debate. 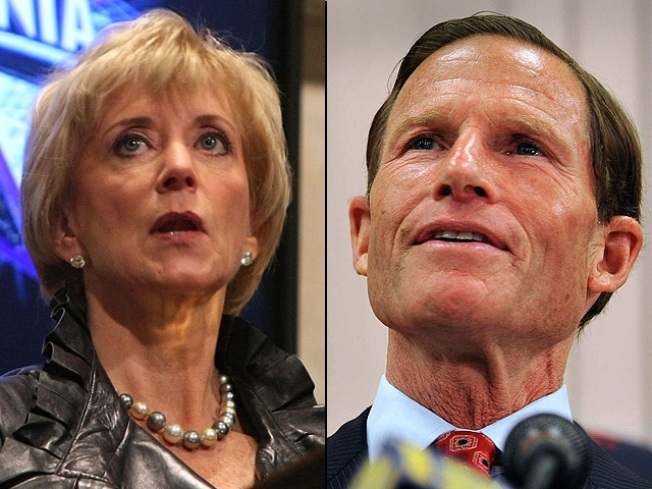 The latest matchup between Republican former wrestling executive Linda McMahon and Democrat Attorney General Richard Blumenthal, is scheduled for Tuesday at 7 p.m. at the Garde Arts Center in New London. The two candidates participated in two face-to-face debates last week. Both are vying to fill the seat being vacated by the retiring Sen. Chris Dodd and recent polls have Blumenthal with a slight edge. The hour-long debate, sponsored by The Day of New London and WTNH-TV, will air live at 7 p.m. on MyTV9.